Property could use a good paint job and new sign Staff was great friendly and helpful. Beautiful view of beach. Very spacey. Everything was great. If you are hoping to book accommodation near downtown Aberdeen, there are a small number of places. Downtown Aberdeen has 5 Expedia-recommended hotels and apartments within a 0.1-kilometre (0.06-mile) distance. Finding a room close to the heart of Aberdeen has never been easier. Expedia's database lists the Best Western Plus Aberdeen and Travelodge Aberdeen, which are situated a short distance of Aberdeen's city center. 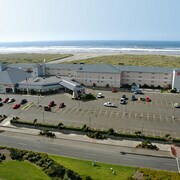 Hotels in Ocean Shores which is 25 kilometres (16 miles) away include Judith Ann Inn and The Grey Gull. 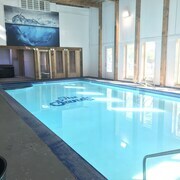 Expedia hotels in Westport include Chateau Westport and Harbor Resort. Westport is 25 kilometres (15 miles) away. 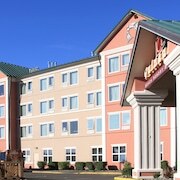 The GuestHouse Inn & Suites Aberdeen is located 0.6 kilometres (0.4 miles) from downtown Aberdeen. 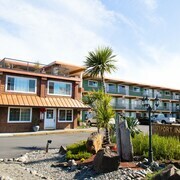 The Grays Harbor Inn & Suites is 2 kilometres (1 mile) distance away. 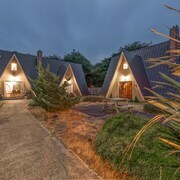 For those keen to see more of the beaches that are a big feature in this region, you might also book some time in other parts of Washington Coast. 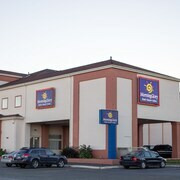 You could travel to regional attractions or enjoy hiking and afterwards find a suitable hotel. Ocean Shores is 25 kilometres (16 miles) to the west of Aberdeen and is where you'll find Ocean Shores Beach and North Jetty. 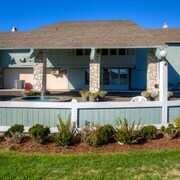 If you'd like to visit Ocean Shores, check out the room rates at the The Canterbury Inn and Quinault Beach Resort. 70 kilometres (44 miles) to the south of Aberdeen, you can also stay at Long Beach, home to the Adrift Hotel and Best Western Long Beach Inn. Should you choose to stay in Long Beach, don't miss the Cape Disappointment State Park and Lewis and Clark Interpretive Center. Just because you're traveling in Washington Coast, doesn't mean you can't enjoy your love of sports. Skippers Equestrian Center can be found 70 kilometres (45 miles) to the south of Aberdeen. Sports fans wishing to find a bed close to the action can select from the Cedars Ocean View Inn or the Rodeway Inn & Suites. Seattle - Tacoma International Airport is a nearby airport, and can be found 130 kilometres (78 miles) from Aberdeen. Hotels that are nearby include Seattle Airport Marriott and Cedarbrook Lodge.